Happy Thursday everyone! I hope you are having an awesome week and for my Americans readers, I hope you have an awesome Memorial Day weekend. In today’s post I want to talk about something that is near and dear to my heart both when it comes to fashion and to the world of blogging. And I couldn’t think of a better look to centre this important discussion around then this gorgeous dress from Woman Within via Full Beauty. 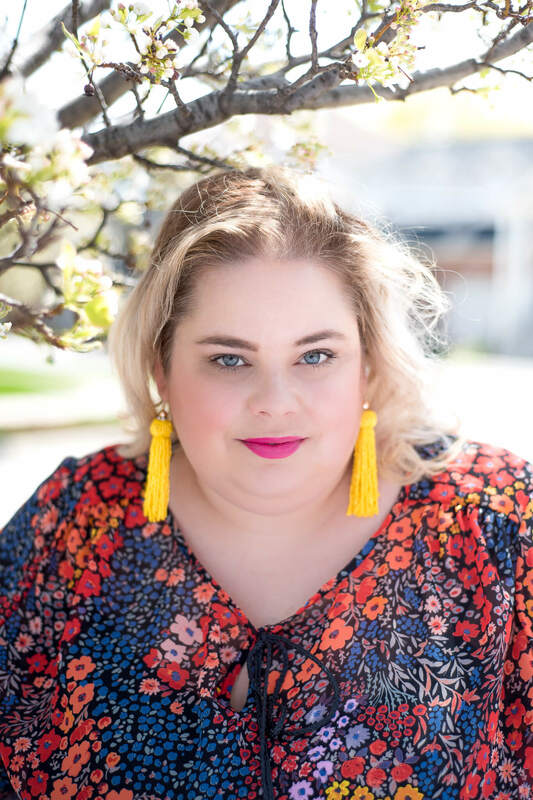 As many of you know I am a Brand Ambassador for Full Beauty and I love the selection and variety of different brands and styles that they offer but I also appreciate the relationship that I have built with them and what they do for the plus size community. One thing that they have done in the last few months is partnered with Plus Model Mag for April’s cover and a spotlight on “Fresh Fashion”. 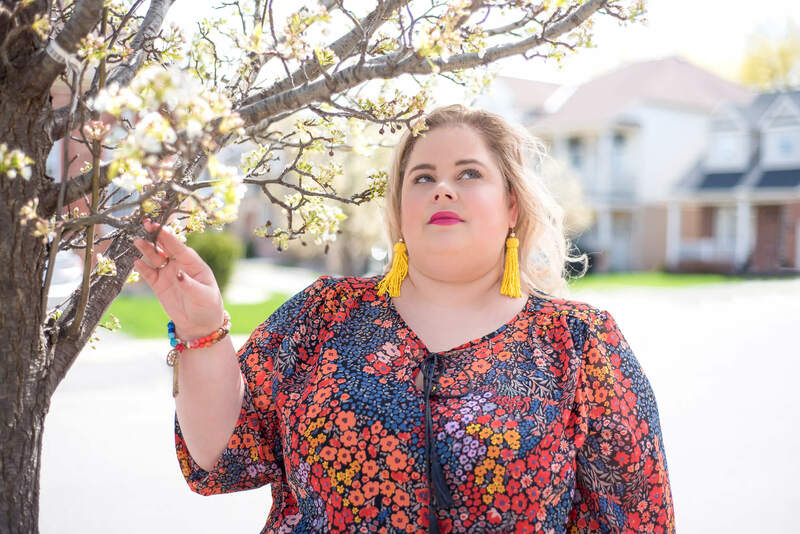 I loved the idea of forgetting the rules that have been constantly told to plus size women over the years and instead taking the time to discover what your personal style is. I had been eyeing this dress for a few weeks and I had just ordered it when boom it ended up in this feature. I have a real obsession with floral prints and I could care less what anyone thinks about it. So I was very happy to see this vibrant colourful and fun option showcased this way. I also loved the floral print dress Madeline Jones, Editor in Chief of PMM wore for the related video that she hosted featuring spring trends. It was a more neutral colour palette but it still had that looser fitting boho vibe to it. 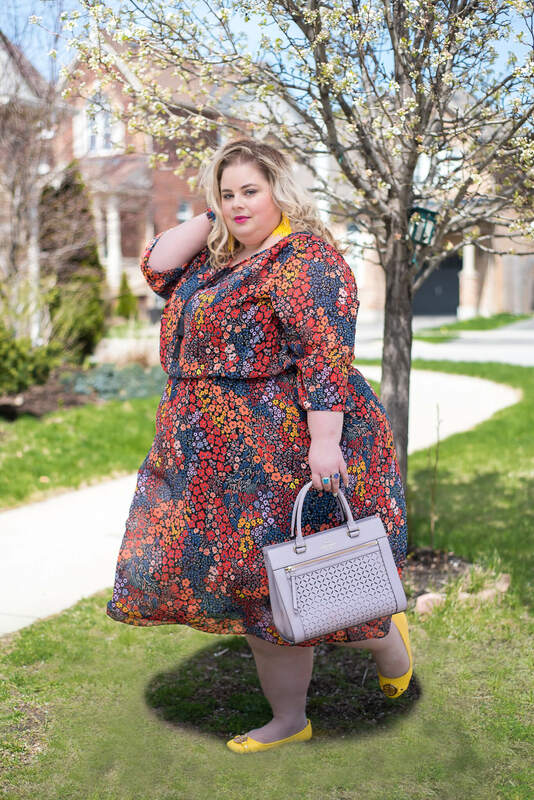 Then one day I was scrolling through my Facebook feed and found a post where women were slamming Maddy’s dress and criticizing the brand for putting her in basically a god awful unflattering floral old lady dress. To say I was completely shocked was an understatement! I had just written my article for the On The Plus Side blog about body shaming from fellow/ former fat women and this really struck another nerve. I thought to myself why would this garner such a strong reaction like this? Her outfit wasn’t provocative or racy, it fit well, was styled perfectly and you could tell she felt great. But I realized that there are two main issues at the root of this. 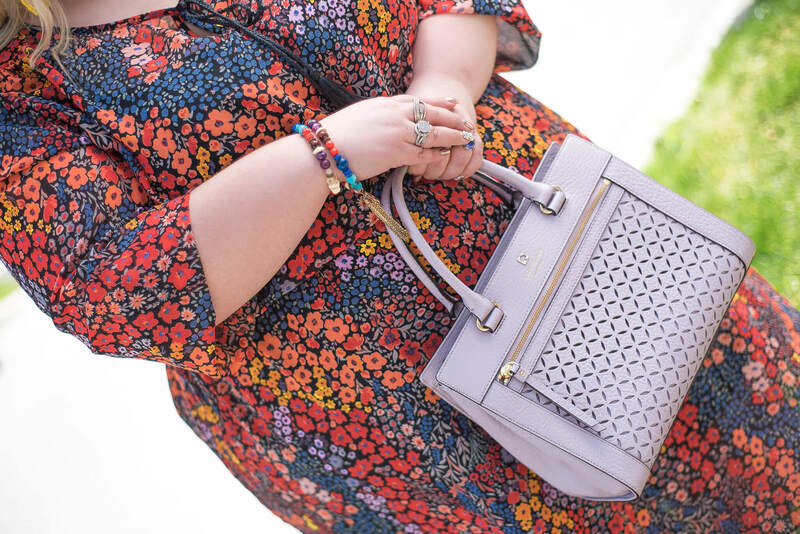 First, the absurd notion that plus size women shouldn’t wear florals! I mean come on ladies, this is 2017, screw the damn rules! I think somehow women who have subscribed to these rules and the idea of wearing things that are flattering for so long felt like they were being misrepresented. Second is the belief that the brand forced her to wear the dress! I have a newsflash for you – as brand ambassadors and influencers we choose what we wear! Being an influencer is about showing your personal sense of style, it is not the same as being a traditional model who goes to a photo shoot and is told what to wear and styled by a stylist. To be honest I get pretty upset when a brand reposts one of my looks and people start giving the brand a hard time when they don’t like what I am wearing or the way I styled it. I have always said and will continue to say that fashion is a form of self expression. I am finding over time that I am drawn more and more to boho inspired pieces and the idea of a relaxed silhouette. Not only did I love the print and colour palette of this dress but I loved the full sleeve with the elastic cuff, the fringe tie at the neckline, the bloused effect at the waist and the free flowing lightweight chiffon. I tend to have to size up with this brand so since there wasn’t any stretch to the outer layer and I wanted a loose fit I got the size 32. It’s a little bigger than I would have liked in the chest but the bottom was perfect and overall still looked great. And I really appreciated that there is a separate full slip underneath that you can attach to the outer layer with snaps or wear them separately which is my preference. When I see this particular detail I always think wow someone was paying attention! With all the colours in this dress I was in styling heaven, the number of different possibilities is endless. Another current obsession of mine is yellow so I couldn’t resist adding a couple pops of this vibrant cheerful colour. These flats from JD Williams USA were the perfect shade and at only $24.99 a perfect pair for this look. They come in wide and extra wide widths which I really love. I then also decided that these yellow tassel earrings from H&M were a great pop of the colour around my face. And a bright pink lip really set them off. I then decided to play off of the lavender colour in the dress because of its sharp contrast to all the other primary colours. This lattice work bag from Kate Spade that is part of my collection did just the trick. Finally I added a few fun multi coloured beaded bracelets from Avenue to keep the boho vibe and bring it all together. Maddy this post is inspired by you, I swear we are floral loving twins separated at birth! And to all my other rule breaking wear what they love sisters out there I applaud your courage, I so appreciate your support and I am grateful for your friendship and the inspiration you give me daily. Special thanks to Rebecca of Rebecca Northcott Photography for the beautiful photos. I’m proud to be a part of the floral loving sisterhood. Also, I need to go buy this dress immediately.